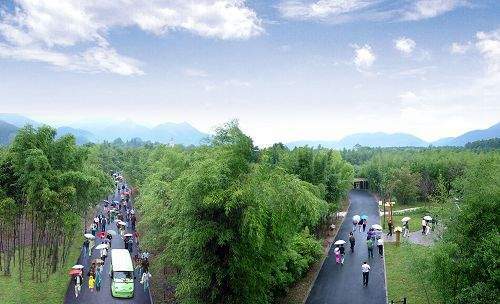 Anji Bamboo Expo Garden (ān jí zhú zǐ bó lǎn yuán 安吉竹子博览园) is located in Anjin County (ān jí xiàn 安吉县), Huzhou City (hú zhōu shì 湖州市), Zhejiang Province (zhè jiāng shěng 浙江省). Anji is nationwide famous for being the home of bamboo. The garden covers an area of 1200 mu, which is brimmed with more than 389 kinds of bamboos planted there. Wherever you go, what greets your eyes is the lush green. The garden is like a sea of bamboo, presenting numerous bamboos in front of you. Chiang Kai-shek's Former Residence (jiǎng jiè shí gù jū 蒋介石故居) is located in Xikou Town (xī kǒu zhèn 溪口镇), Ningbo City (níng bō shì 宁波市), Zhejiang Province (zhè jiāng shěng 浙江省). There are Wenchang Pavilion (wén chāng gé 文昌阁), Fenggao House (fēng gǎo fáng 丰镐房), the Western-style House (xiǎo yáng fáng 小洋房), the Yutai Salt Shop (yù tài yán pù 玉泰盐铺) and the Mausoleum of Chiang’s Mother (jiǎng mǔ mù 蒋母墓). 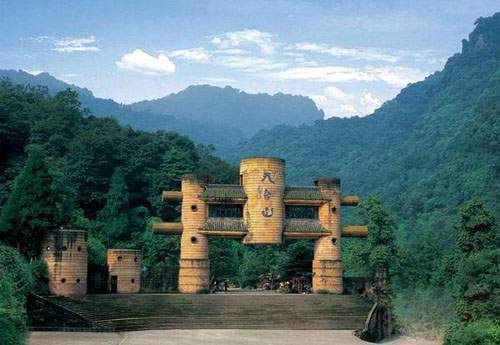 Tiantai Mountain (tiān tái shān 天台山), famous in the eastern Zhejiang Province (zhè jiāng shěng 浙江省), is situated in Tiantai County (tiān tái xiàn 天台县), Taizhou City (tái zhōu shì 台州市). To the southwest of the Tiantai Mountain, it is Xianxia Mountain (xiān xiá lǐng 仙霞岭), and to the northwest is the Zhoushan Archipelago (zhōu shān qún dǎo 舟山群岛). 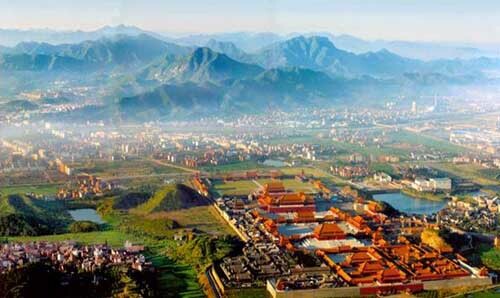 It is known for its beautiful scenery and rich Buddhism culture. Shengsi Islands (shèng sì liè dǎo 嵊泗列岛) are located at the mouth of the Yangtze River (cháng jiāng 长江), where is east of Hangzhou Bay (háng zhōu wān 杭州湾). The islands are geographically part of Zhoushan Archipelago (zhōu shān qún dǎo 舟山群岛), and comprise 404 islands, which are like pearls, shinning in the blue waves. They are regarded as the fairy land in the sea. 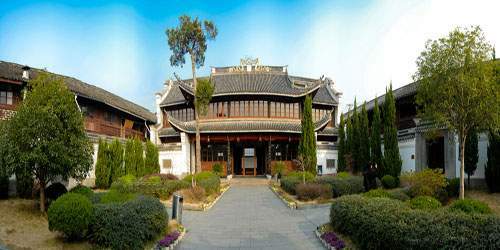 Hengdian Movie/TV Base (héng diàn yǐng shì chéng 横店影视城) is located in the Hengdian Town (héng diàn zhèn 横店镇), Dongyang City (dōng yáng shì 东阳市) of Zhenjiang Province (zhè jiāng shěng 浙江省). It is the largest movie/TV base in Asia, and is crowned as the No. 1 Town in the south region of the Yangtze River (jiāng nán dì yī zhèn 江南第一镇) and the Oriental Hollywood (dōng fāng hǎo lái wù 东方好莱坞).